This spectacular sixteenth century castle, restored by the Menzies Clan Society welcomes vistors. Seat of the Chiefs of Clan Menzies for over 400 years and importantly situated, it was involved in the turbulant history of the Highlands and here Bonnie Prince Charlie rested on his way to Culloden in 1746. Architecturally fascinating, it is a splendid example of the transition between earlier rugged fortress and later mansion house. 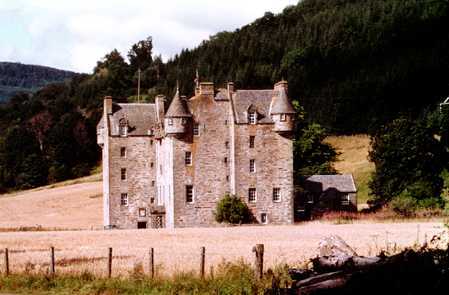 Castle Menzies stands north of the River Tay at Weem on the B846, one and half miles from Aberfeldy. For further information on Castle Menzies and visiting it, please go to the new Castle Menzies website: www.castlemenzies.org.